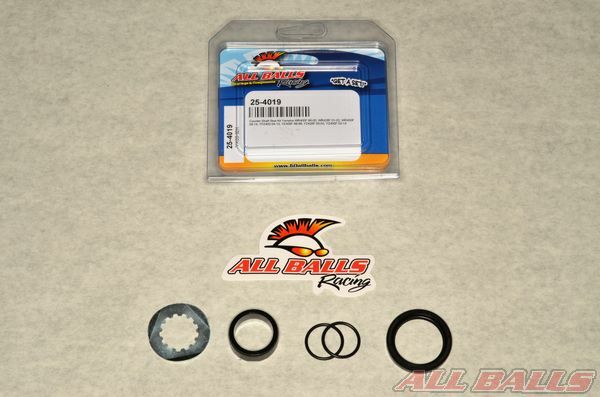 Get your countershaft kit from ALL BALLS RACING. 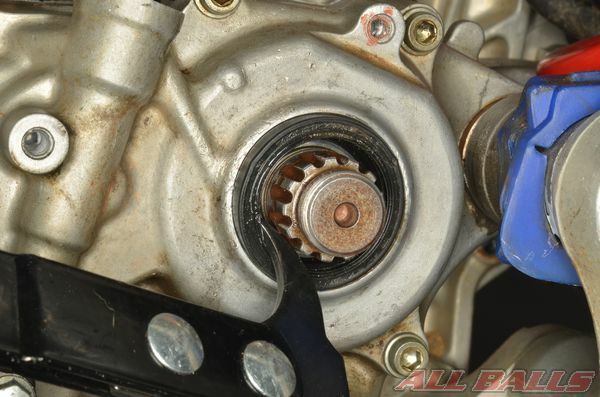 Countershaft sprockets can be attached in several different ways- they may have lock washers, thread lock, multiple fasteners, snap rings, or reverse threads. 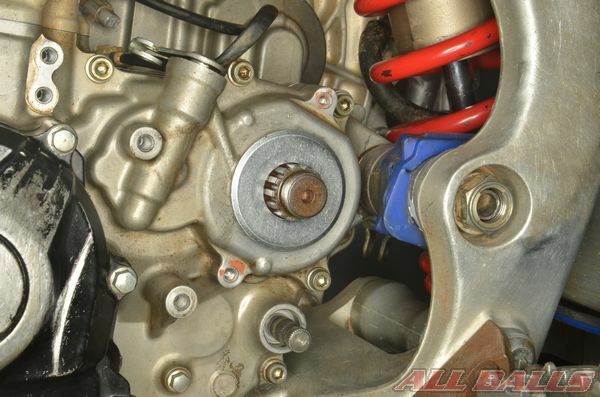 Allays follow the specific instructions in the particular service manual when removing and installing the counter shaft sprocket, and never work with the chain and sprocket while the engine is running. 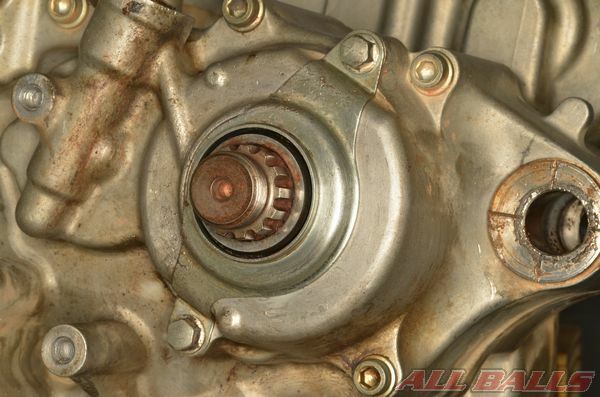 Remove the sprocket from the countershaft. 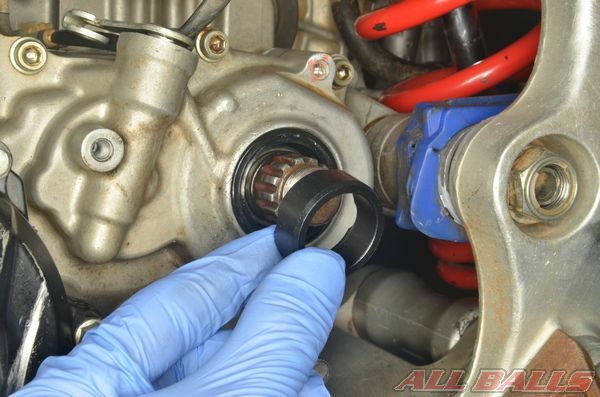 Some models have a countershaft seal retainer. 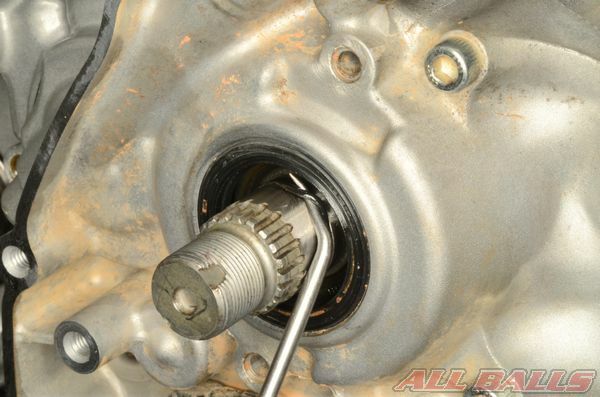 Remove the countershaft seal retainer. 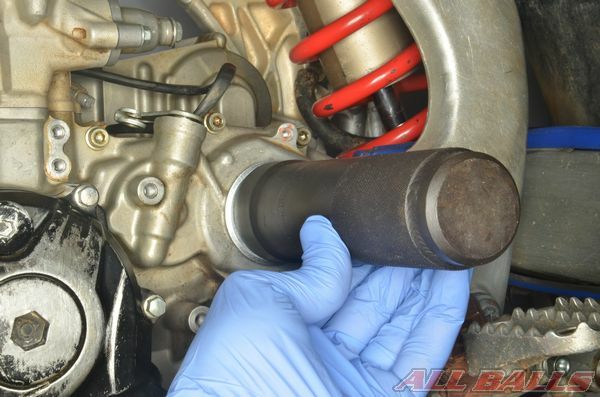 Remove the countershaft seal bushing. 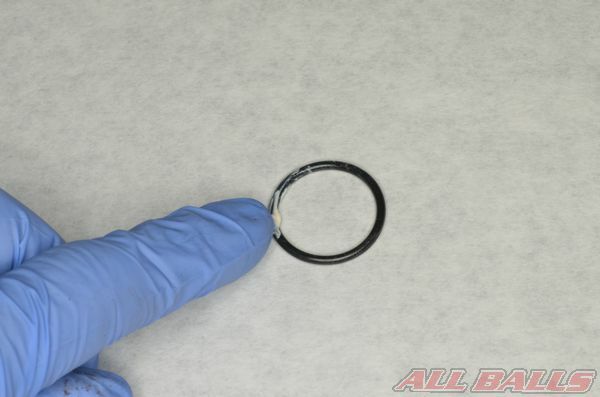 Use a pick to extract the countershaft O-ring. 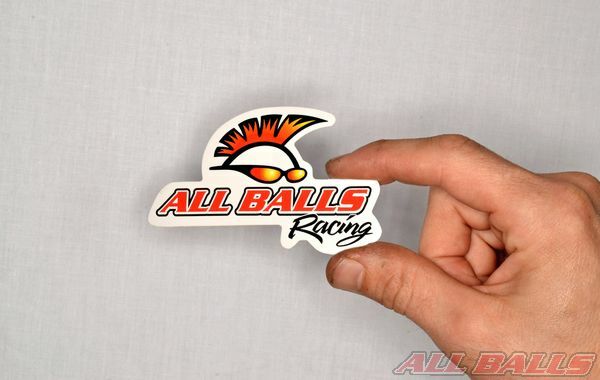 Remove the seal with a seal pick. If a seal pick is unavailable you can thread wood screws into the seal and pull it out by the screws. Coat the new seal and O-ring in grease. 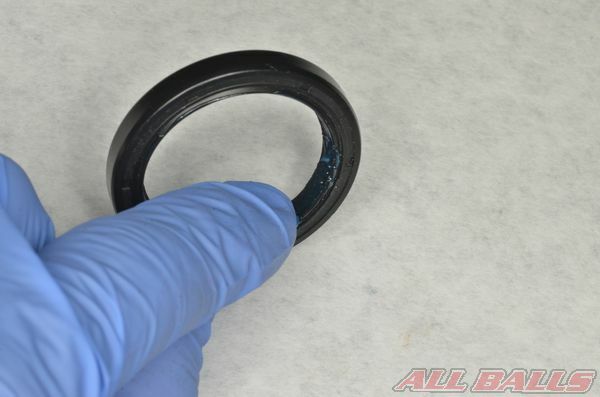 Press in the seal by hand in with an appropriate driver or a socket with the same outside diameter of the seal. 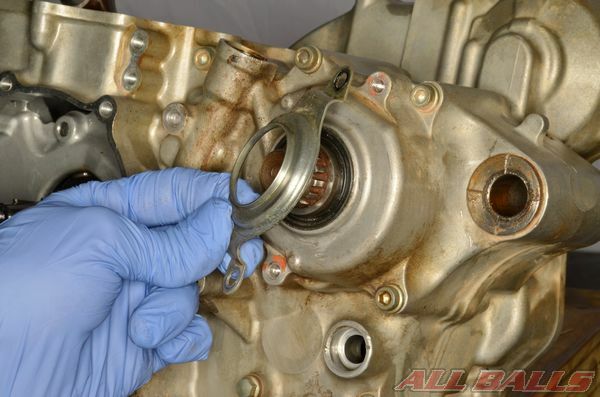 If a special driver is unavailable, use a large washer to push the seal into the crankcase. 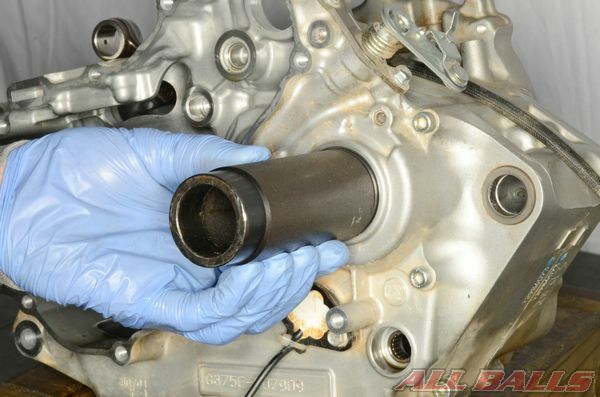 Install the O-ring into its groove in the countershaft. 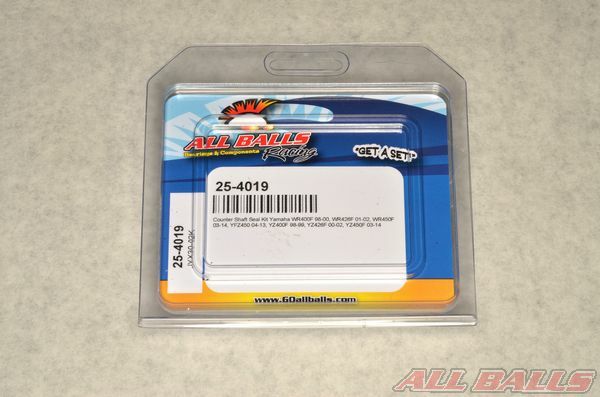 Install the new countershaft bushing. 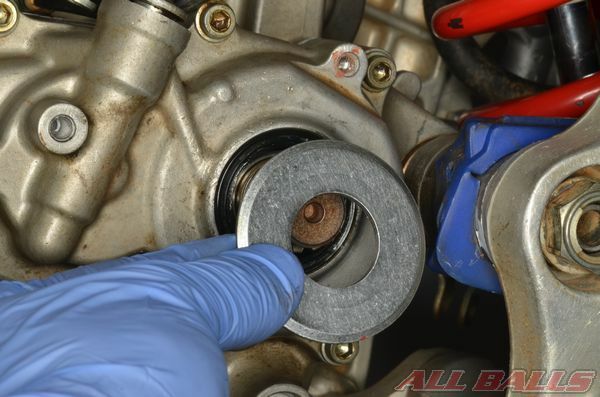 Install the countershaft seal retainer as required. 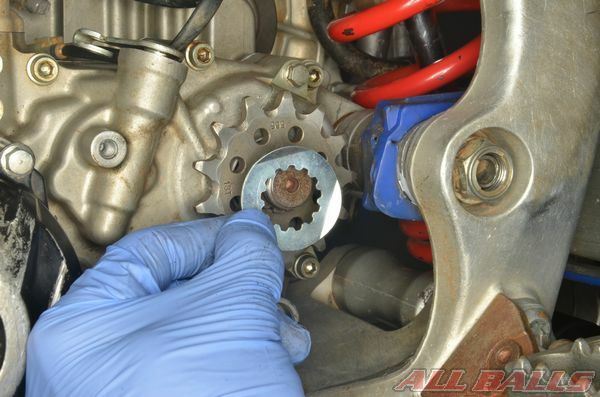 Install a new lock washer with the counter shaft sprocket. 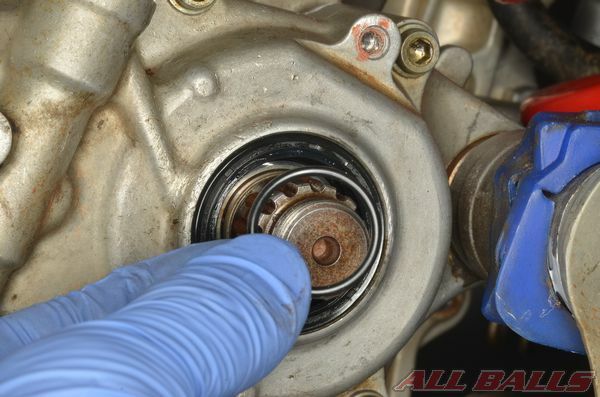 Tighten the countershaft fastener to the torque specification given in the service manual. 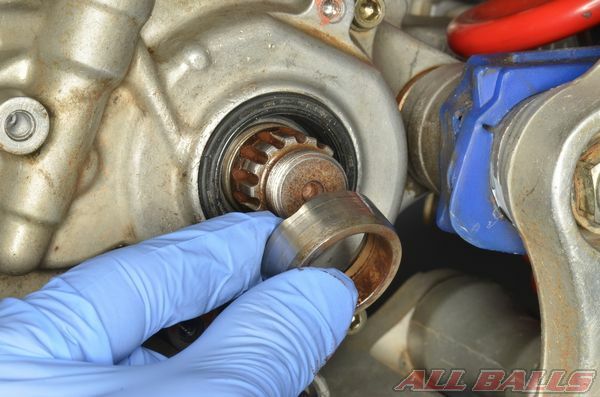 If the lock washer is a bending type, bend the tab of the lock washer against the countershaft sprocket nut/bolt with a punch and a hammer. 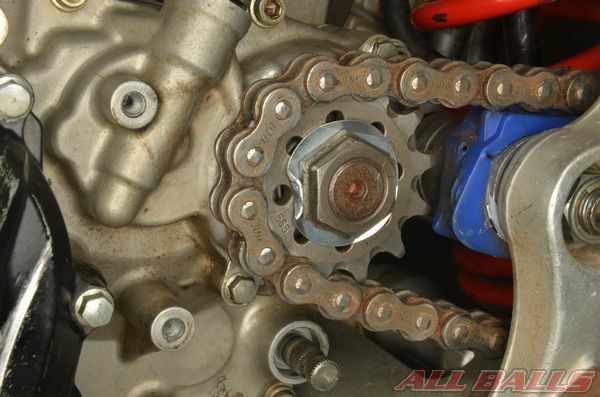 Install the chain guides and sprocket covers as required. Adjust the drive chain slack to specification.